Munich - Just 27 miles separate Frankfurt and Mainz, yet Eintracht Frankfurt are hoping there will soon be an even closer link between the two by equalling the 05ers' club record of seven straight victories at the start of the 2010/11 season. 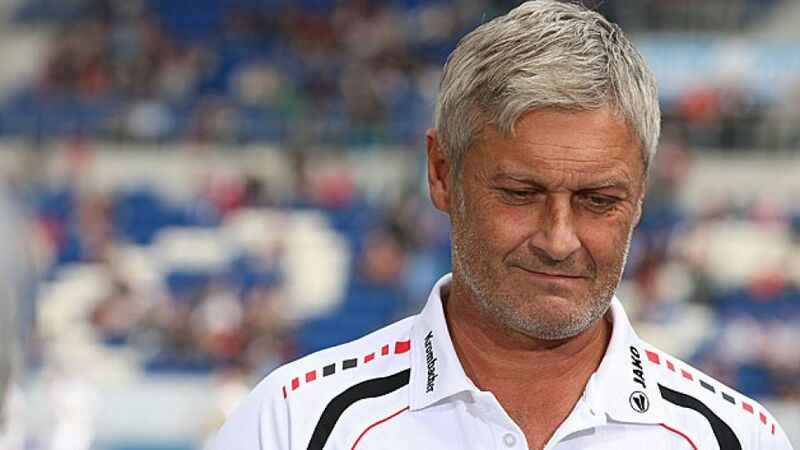 A 2-1 win over Bayer Leverkusen and 4-0 triumph at Hoffenheim have got Armin Veh's troops off on the right foot, and the man who led Stuttgart to a shock Bundesliga title in 2007 appears to have another trick up his sleeve with Frankfurt. The 51-year-old coach has no intention of dampening the expectations either. "I won't put the brakes on the euphoria," he said after Saturday's emphatic victory, joking, "I would be disappointed if we don't win the league now." But can Frankfurt really challenge record champions Bayern Munich and title-holders Borussia Dortmund right to the end of the season? "We are going to carry on playing so attack-minded - maybe even more so," warned Veh, who is taking his side's chances seriously enough. What a glance at the Bundesliga in the last five years teaches is that there is always at least one club unexpectedly challenging for the ultimate goal. Last year it was Borussia Mönchengladbach, before that it was Hertha BSC Berlin, and in 2009 nobody had Wolfsburg down as title candidates, yet they won it. There is also a famous precedent for Frankfurt to emulate: In 1998, newly-promoted 1. FC Kaiserslautern, under Otto Rehhagel, marched straight to the title in their first year back in the Bundesliga. Alexander Meier's two goals helped Frankfurt crush Hoffenheim on Saturday, taking him onto 60 goals for the club - and that as a midfielder. Indeed, Veh does not need to rely on only his strikers to score the goals with good team work the key to their early-season success. "The lads all fit in well together and they get on well," he said. "The climate was good even in pre-season." Pirmin Schwegler was also on target on Saturday and he is hardly the most frequent goalscoring outlet. "I didn't net even once all last season," said the captain in the Frankfurter Allgemeine Zeitung. The Swiss is simply happy to have contributed to the club's rise to the summit of German football for the first time in 13 years - and more is to come, according to the 25-year-old: "I know the character of this team and that we are not going to just settle with these two wins. We're playing good football - close to what we all strive for." In contrast to his coach, Schwegler has a decidedly more sober take on the current situation: "We are a team who have not really been here before. Our aim is to avoid relegation and these six points are really good for us in that regard." Only Bayern have a better record at present, having scored three more goals in their first two games. In order to truly emulate Mainz and carry the euphoria onto an even higher level, Veh's troops must get the better of Borussia Dortmund and Borussia Mönchengladbach in coming weeks. Not even the prospect of two top-four teams can faze the Frankfurt coach though.